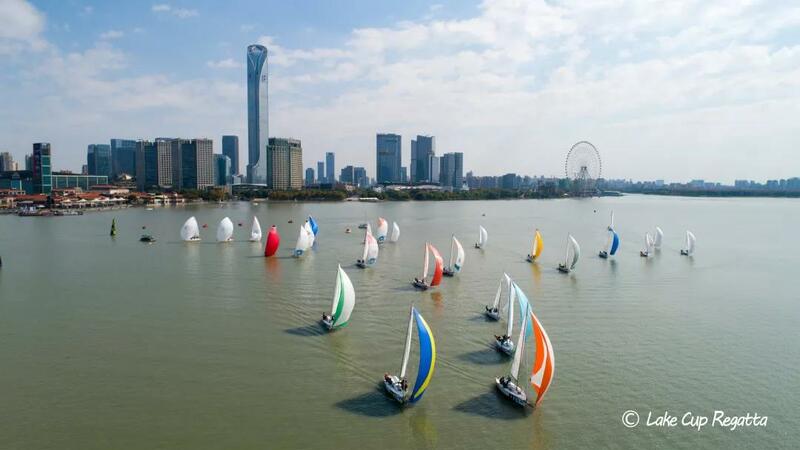 The 9TH Lake Cup Regatta unveiled on Oct. 12 at the Moon Harbor in Jinji Lake. 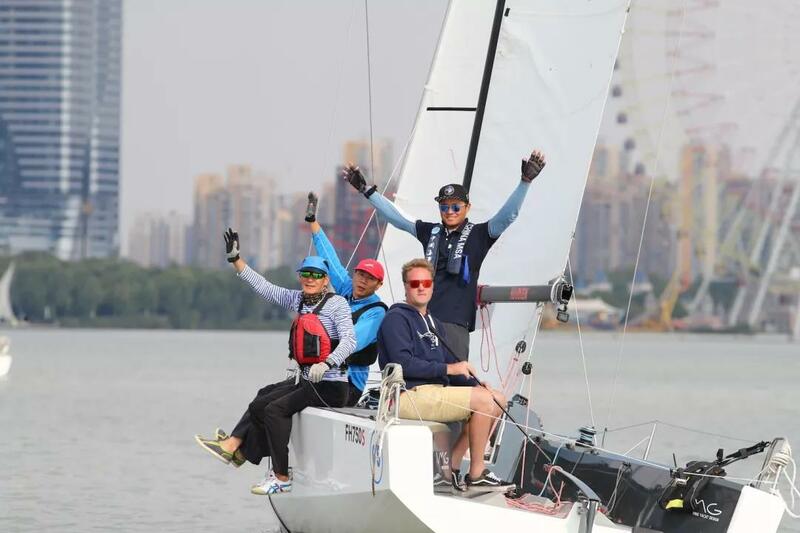 This year the event attracted 200 plus sailors from 10 countries. Good geographic condition provides a good visual perspective to watch and experience the competition. At 10:15 a.m., all boats set out with spinnaker rose. Colorful spinnakers decorated the whole lake, which provided a spectacular visual feast for all people. While because of the weak wind force, the mark laying work couldn’t be carried out smoothly, and many sailors became relaxing themselves as they waited for the signals. The competition didn’t start until 2:40p.m. 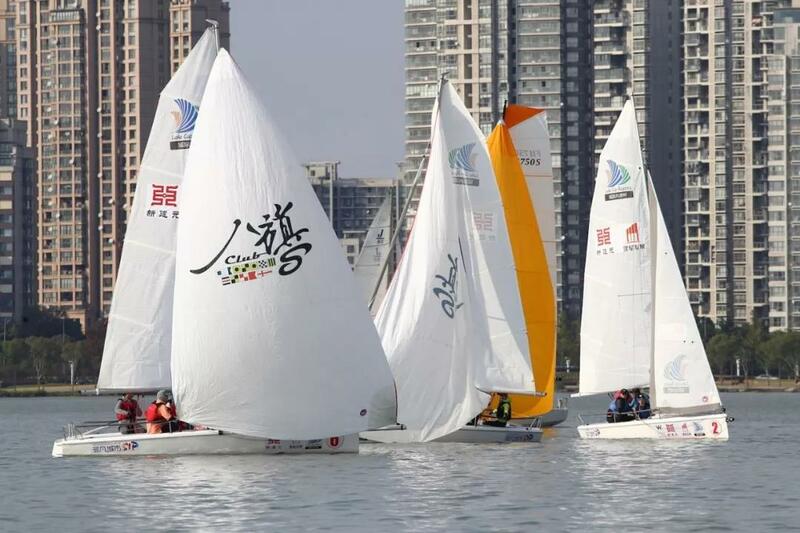 This year there are four groups including J80A group, J80B group, DC20 group and FH750S group. 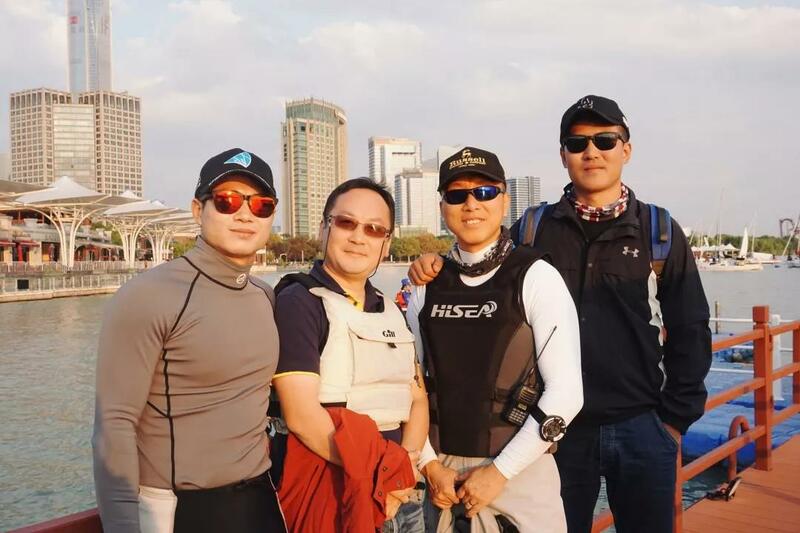 The competition of J80A group is the fiercest and the Jin Tao Ai Lang group led by the captain Wu Jianan was the first group successfully breaking the final line. 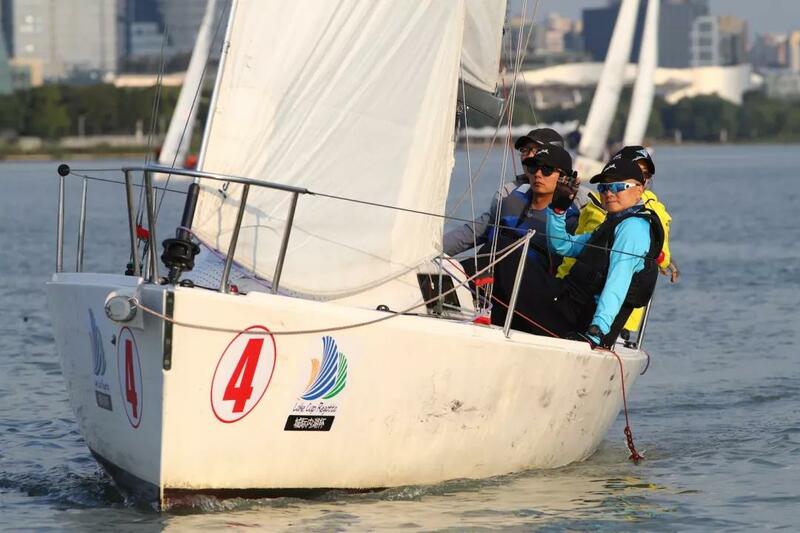 The Xiao Qing Page group gave a good performance in J80B group and pocketed the champion in the end. DC20 and FH750S are newly introduced boats. The captain Li Xiaojing leading the Lei Shing Hong Benz Group 2 won the first prize by riding the DC20. When it comes to the characteristics of the DC20 boats, he answered, “DC20 is small in body and is easy to operate. It has a high requirement for sailors’ cooperation and sometimes all people are needed to work together. But with so many years’ sailing experience, it’s easy for us to adapt to this boat”. Krijin Van Den Brink came to China in 2012 and changed its name as He Jinping. He began sailing when he was only 5 years old and he is also expert in designing sailing boat. Even though his has been very experienced in sailing but he said that what matters is not experience, but cooperation of group members. What’s more half of the members are speaking English and the other half speaking Chinese, so the language obstacle is also a big problem for them. Even though they were faced with many difficulties, they still won the first prize in the end.